Are you a band/performer in the Devon/Cornwall/Somerset area? We’re looking for YOU to join us at Altitude Village Festival 2019! 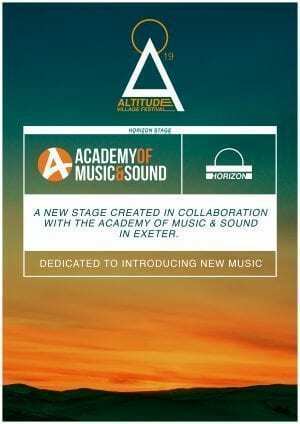 Exeter’s Academy of Music & Sound is collaborating with Altitude to introduce exciting new acts on their Horizon stage. The festival will run on the 14th – 15th of June and is situated amongst the beautiful Blackdown Hills near the sleepy village of Blackborough. To get involved complete and submit the form below. 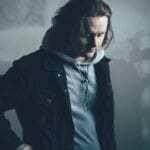 Please try and provide as many links as possible, the more we can see you performing the better. We will contact the submissions who have been selected to play, after the submission deadline – January 31st 2018. 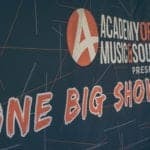 This is a competition to nurture music and talent in the local area and as such is limited to applications from artists based in either Devon, Cornwall or Somerset only. Applicants under 16 will need permission from their parents to enter and must have a responsible adult with them onsite.